Introducing our new sandbar sharks! We’ve recently had two exciting additions to our Atlantic Ocean tank; new sandbar sharks! These sharks have joined a fellow female sandbar which arrived in the exhibit last year. They have been settling in fantastically and have worked up quite an appetite for the squid and mackerel our which husbandry team offers them. 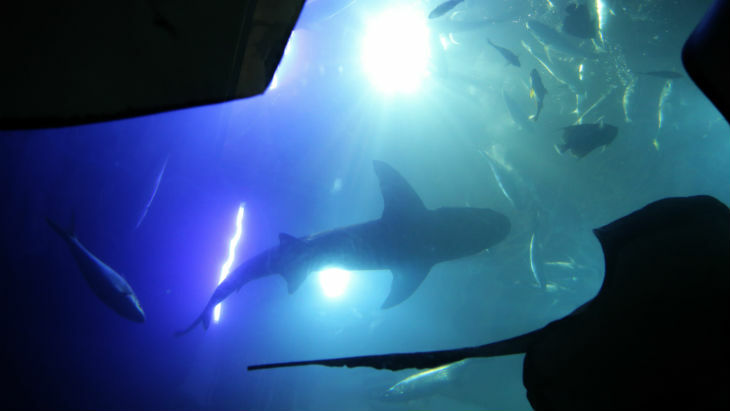 They’re joined by other sharky tankmates in the UK’s deepest tank such as sand tiger sharks, lemon sharks, and nurse sharks. 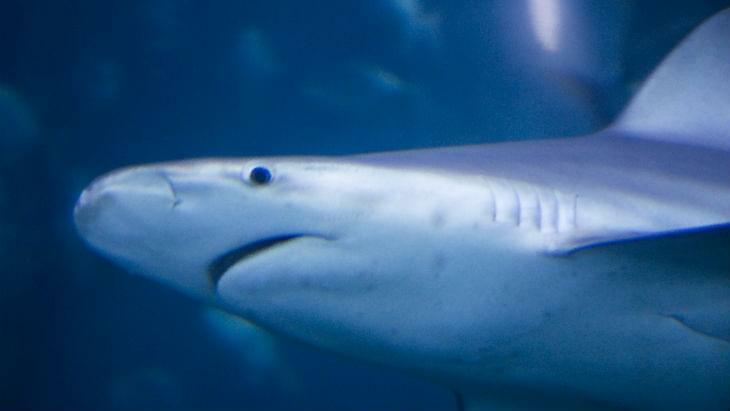 Sandbar sharks (Charcharinus plumbeus) is a species of requiem shark, and one of the biggest coastal sharks in the world, closely related to the bull shark. Their heavy set bodies can grow to around two metres, with the males being slightly smaller. From tropical to temperate waters worldwide, sandbar sharks are normally found in shallow coastal waters with muddy or sandy substrate, as their name suggests. They have also been found to swim to deeper waters of 280 metres or more. Natural predators include the tiger shark, and sometimes great white sharks. Sandbars themselves prey on all manner of species such as fish, rays and crabs. Living for up to 40 years these sharks take over a decade to reach maturity and coupled with their coastal proximity this makes them, unfortunately, vulnerable to overfishing. Fortunately, comprehensive management plans for fisheries have been taking place in Western Australia to reduce these shark moralities. Sharks are crucial in the wild – a healthy population of sharks balances ecosystems and allows them to thrive. For example, sharks feed on the ‘low hanging fruit’ of a fish shoal, ill and weak, and picking these off means halts the spread of disease and improves the gene pool of the fish. Come and have a look at these amazing creatures for yourself! Don’t forget, every ticket comes with a free annual pass so you can return as much as you like within the year.